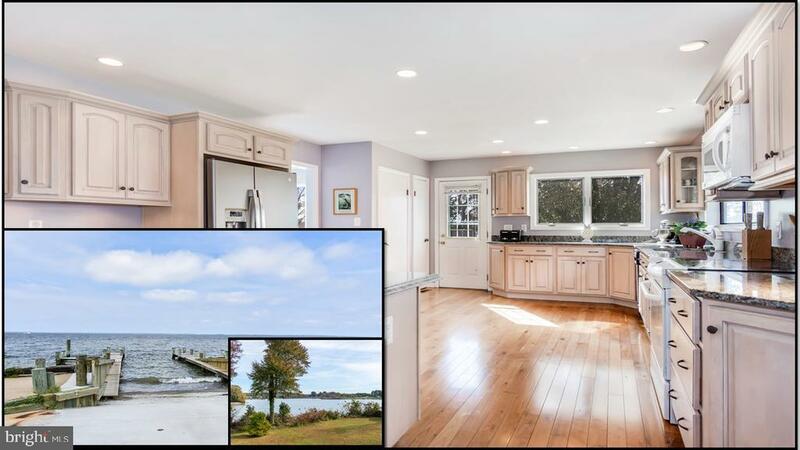 Waterfront on North west creek sprawling views! Private setting, generously sized home, beautiful up dated kitchen. Large living room & Fam. Room with two fire places. Screened porch & wrap around deck, on 2 sides of the house creates nice entertaining areas. A possible in-aw suite! Views from two sides of house. Bring your fresh touch on this great home with a great location. 7 miles to bridge & shopping. Directions: Rt 8 South to right on Kent Point Rd. Turn Right on Tower Drive to end and turn left on Beachside Dr to property on left. Look for sign on your left driving to circle.